The endpoint is the last line of defence against security threats, and is increasingly becoming a crucial factor in the overall IT security equation. Most companies already have an endpoint solution in place. However, the challenges around effectively securing and managing the endpoint are significant and go far beyond simply picking a single specific product from a vendor. Administrators have to ensure consistency, constant updates and protection for employees both inside and outside the corporate network. 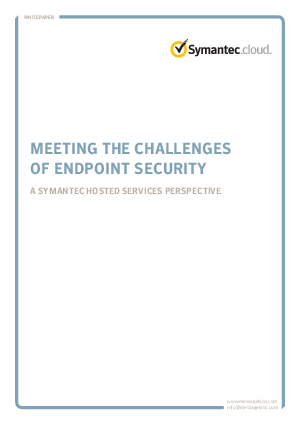 This white paper addresses the key reasons why managing endpoint security is so complex. It explains how a hosted endpoint solution can help with this problem.